I borrowed a similar GoLite for Skyline-to-the-Sea (32 miles, 3 days) two summers ago. You need to pack it carefully so that it will carry well, but it sure is light. I would really love to win this piece of lightweight gear history! Jumping up and down and raising both hands! wow I’ve always wanted one of these. As an avid reader of your blog, particularly your gear lists, you have helped me get from a backpack weighing circa 40Lbs with food, to well under 30lbs (Solo, 7 days, inc food, and water) – now all I need is a more compact, ultra-light backpack, which would force me to finally ditch the tent in exchange for a tarp. Last summer I cycled from your neck of the woods in San Francisco to Los Angeles – that really got me thinking about weight saving – the bike was so heavy until I offloaded a load of unnecessary gear in Big Sur!! My girlfriend is not really a hiker, but having shared excerpts of your Wonderland trail with her, she is really getting into it – we went up Snowdon in the pouring rain, and I have promised to take her for a two day hike as part of a holiday in the States, in the sunshine – this would be great for one of us to carry, I bet we could enjoy the scenery with only the bare minimum packed into the Golite. That’s it, just leave a comment? Well, ok =) I could use a light pack like this! First! I enjoy reading your reviews and trip reports. I’ve been due for some Spring cleaning for many Falls now – congrats on getting to it! I have been dying to get my hands on one of these packs. Its very generous of you to simply give it away. (For the cost of postage…Of course) I would like to through my name in the drawing as well. I can be reached at cameronjreed(at)gmail(dot)com. Count me in, Brett. Thanks for sharing this with someone. I have enjoyed reading the posts on your web site. I just completed my first multi-day backpacking trip in PA – two days and 27.5 miles on the Old Logger’s Path. I used your site extensively for gear reviews and recommendations. I was able to convince a co-worker, Brian D, who hiked with me to lighten his load somewhat. 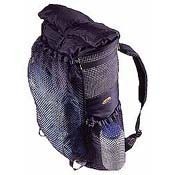 If I win, Brian will get the pack as his first piece of true ultra light gear. I purchased a Gossamer Gear Mariposa Plus two months ago – it’s an excellent backpack. Thanks for all your past work. Very cool! I’d love to win it. Giving away a perfectly good pack to your readers? How magnanimous of you Brett! Giveaways always bring the comments! Thanks for the great blog, and throw my name in the hat! Your Gear List inspired me to put together a new set of ultralight gear! I have a bunch of items together, but no pack, yet (I live in Boulder, CO and am hoping to be able to afford something from the GoLite warehouse sale this weekend… but funds are not exactly plentiful at this point in time). I would be very excited and honored to be able to use your old pack! Was researching packs and was so impressed with your GoLite review that I decided I wanted one, THEN I saw the timing of this give-away! I would be thrilled to give your pack a happy home and lots of miles. I am at ddmondo AT yahoo DOT com. Thanks! I would love the GoLite pack so my son can go lighter. I’ll like to add my name to the raffle for the pack. I’m just easing into going UL and if I’m lucky enough to have my name drawn it would make a nice Christmas present for myself. Thanks for the opportunity and for all your hard work on this blog. As a newcomer to backpacking I could certainly put that to good use. iay eednay otay eplaceray ymay alway artmay ackpay incesay iay pendsay llaay ymay oneymay noay ymay ourfay idskay. did you get a winner yet? or decide to wait a little longer. if so, add my name to your list. winner already decided – see post for details.